Kicking that previous post to our resident expert, my debug menu doesn't look like that at all. Shows more options, too. If you look at it on Dropbox, it will preview the file you're downloading. I haven't figured out how to do that on MediaFire, if you can. I'll finish the extra part in the morning. Ran out of time again. But I wasn't going to post it here anyway, so, with the main stuff done, I decided to turn loose of that much. Very basic output version, "mostly" in order of the config file. I did a little shuffling in a couple of places, not much. If you know which setting you're looking for, you'll find it. Hmm. I should've said "our resident Johnny On The Spot expert" @rosemow . Haha! @rosemow that was the only blank button I have noticed. I deleted the ts4 file and downloaded it again from origin as instructed, the language file was correct in us English and was dated 2/3/2017 but when I loaded the game I still had that button blank. I took my whole mods folder out and its still blank.. I was having problems with lots disappearing.. the name of lot was still there when highlighted but lot looked empty.. noticed this when my sim was invited out on a date and the lot was empty.. lol So I guess this means I will have to uninstall and reinstall the whole game? I'm glad I have a fast internet as I have everything so far. Does the empty lots have anything to do with the blank button? My game was really strange last night. my sim went to one of the festivals and all the sims were standing across the street not going in and the karaoke bar was missing.. my sim went home and she had two nannies.. decided to give them a new house which I decorated but when my sim went out on a date and she came home that house was gone and the old one was in its place. Repairing the game may help. To do that, right click on the sims 4 picture in Origin and click repair. generated a new ts4 folder didn't work.. going to do a repair now.. only taking out the mods folder hope that is all I need to remove. @rosemow thank you for trying to help. Not sure the blank button is all that important but the invisible lots are to me and wonder if they are connected? @CrazyboutTheSims that's wild about your game going berserk like that. What all do you have for mods and cc? Tons? A little? If any of it's been there since before toddlers, or even before City Living... maybe you have stuff that needs updated. Or dumped. (I can't see your folders, y'know?) Script mods for sure were affected, BENT if not BROKEN, by what all EA has given us lately. I mentioned Origin because I wondered if you might need to reinstall THAT. And maybe the game, too. I'm not saying DO that, unless @rosemow agrees, though. Just that I tend to "go big or go home" when I'm fighting random strangeness from this game. Seeing the 2 nannies and the old house would have me rolling a new game, probably. IF I hadn't decided to try to play ONE game, all year. I haven't seen the epic fireball of game-destroyance yet, here. Sounds like it might've landed in your yard, instead. I would *love* to know what's wrong with your game. I'm thinking "mod conflict" but it's hard to tell anything without more details. Screenshots, lists, something. Lastexceptions... ooh! Any of those in /Sims4? Try moving your whole mods folder to the desktop. Then test to see if the issues remain. Make sure that you have free space on the drive where your sims 4 is installed. I don't think that the blank button is related to the empty lots. Let me know. Knowledge is power. You have the keys, we just need to figure out the right one(s) to get around these issues. Show us some screenshots. The troubleshooter PDF might help, if you browse thru it. It isn't JUST MC-related, there's game stuff, too. Maybe something's stuck. What files/pictures might help are listed. In any case... good luck! I'll check back before work. I did start a new game with this family and the vamp neighbors as I wanted to keep the baby's father in the game. Was very disappointed when I deleted his baby.. but when I started the new game I transfered the vamp to my family and through genealogy created a toddler for them. but by moving them he lost his relationship with his father. for some reason I have a really hard time with the relationship part of the mod..lol I didn't take any pics of the new house as by that time I was pretty fed up with all the stupidity happening. I do have probably way too much cc and I only have a few mods outside of mc command center.. which are Cinderelli's auto npc's, timex daywalkers, timex lifetimeskills, ui cheats extension, averia default eyes, the cleveage detail overlay.. the last two are the oldest mods I have the rest are updated.. including mc command to 3.11. oh I forgot one Da unlocked lot traits which I'm going to delete because I don't see any lots being unlocked.. I don't save the last exceptions any longer as no one seems to be interested in seeing them.. here is a pic of the two nannies.. I had to fire them because they kept coming back..
Yeah I"m gonna go with mod conflict. Try vanilla. Then try with MC. Then add something else. Mods first, save the cc (glitter) for when the game-changing stuff is verified as working properly. Dollars to donuts some of your files broke. If I'm not back tonight, I will be in the morning. Out for real, this time. I don't think this is related to mc command center.. and I just looked through files from mc command and added the trouble shooter file.. I didn't know I was suppose to leave that file in.. I have tried all the suggestions and still blank button.. even with a vanilla game. what is that third button for when you shift click on an object? just out of curiosity I decided to generate a new sims 4 folder and not add anything back in and play like I had never played the game before had my couple to adopt a baby and shifted clicked on the cradle and had a lot of different options instead of only three like before and no blank ones.. as I really wasn't looking forward to uninstalling and reinstalling.. so now do I want to add anything to the game or not.. I only seem to be able to play for a short time in a vanilla game.. I know mc command has to go in lol..there's only one thing I can think of at the moment I wish he would add is the ability to make a sim pregnant without woohoo with any sim in the game. I miss that from Twallan's mod..
Must say I'm shocked at the result of only adding mc command center.. here are the pics with and without mc command center mod. As you can see, the blank button in your game is normally labeled "Destroy Object (Debug)" - which means, that the action ultimately removes the selected object from the game (as proven in your game) . Only instant exiting the game without saving and reloading, a roll back of an previous save game or a backup will help after an unintentionally use of this debug function. The shown menu is a part of the debug commands, which are not a MCCC feature, although they look like being one. The debug commands are a part of the original game cod and not part of a mod. You can see it the way you use it: you have to Shift-Click on an object or your sim to get access to debug commands. Usually they are hidden, but with MCCC you can make them visible. I guess that if a debug command menu item is not labeled, it's an issue with the game code itself and probably not caused by any mod. But as you already said, it's not so important whether there is a label or not. But it's good to know what function is behind this button. To me the "without" picture looks like "pure" clicking on the cradle. The result is the standard pie menu with the cradle options. The "with" picture looks like shift clicking on the cradle. The result is the debug command menu (as in my picture posted above) tied to the cradle. In my opinion this is how it's supposed to be. yes it would have been helpful knowing what the blank button was for or I would still have my baby.. and the debug command must be a part of mccc because it wasn't enabled in the vanilla game.. I shift clicked with both pics.. with and with out the mod installed.. I didn't think it was mccc but how do you explain it? The debug commands are a part of the original game code. Usually they are hidden, but with MCCC you can make them visible. That's all what MCCC does - nothing else is changed. The intention of debug commands is to give the devs or EA support staff a in game test/troubleshooting option. Without MCCC you can also access some of the debug commands with the "Testingcheats True" cheat. This cheat is built in and will work in every vanilla game. MCCC only makes it more comfortable, because you don't have to type the cheat in the command line. Also MCCC unhides an extended range of debug commands, which are usually permanently hidden. nothing special happens, because the debug comands are hidden for normal play. You will get the standard menu, as you would get it with "normal" clicking (without shift). Without MCCC setting to unhide, the game is ignoring the shift. you will see the debug command menu because it's unhidden by the mod. There is a MCCC setting to unhide the debug commands. Usually it's disabled. It seems to be enabled in your game. ..there's only one thing I can think of at the moment I wish he would add is the ability to make a sim pregnant without woohoo with any sim in the game. I miss that from Twallan's mod.. 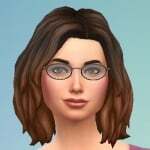 There is a possibility in MCCC to immediately make a sim pregnant without woohoo. You can find these settings in the target sim's MC menu. ✘ This is only valid for any sims not part of your active household. You won't see this options in your active sim's MC menu. I guess, that some settings are blocked by the game code and could not be changed if a selected sims is part of your active household. I never changed that setting in mccc. just put it back in my game to check the settings.. It must be something else in my game thats causing it..as I have tested it with and without mccc and with other mods installed getting the same blank button.. the only way I don't have the blank button is without my mods folder installed.. but I don't know if having the button blank is hurting anything now that I know what it is for.. I don't use that function in my gameplay ever.. the debug command so don't know where its coming from. ✘ This is only valid for any sims not part of your active household. You won't see this options in your active sims MC menu. I guess, that some settings are blocked by the game code and could not be changed if a selected sims is part of your active household. You only have to change households and try to arrange a meeting with the sim you want to make pregnant. If they are aquaintant, you can call her over. Then she is not the active sim anymore and the option is available. 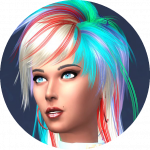 @CrazyboutTheSims what happens if you try shift-clicking on a PERSON? I just loaded my game to check, all the debug stuff is showing up fine here. On people and objects both. I don't have any babies in this game to check a bassinet, though. But they showed up on my sim (shift click on self) and on the chess table (shift click there) she's standing next to. You keep talking about mods, but you haven't said much about your cc. Did you do it the way I suggested, vanilla to see if it works, and then with just MC to see if it works like that? I mean, Resource.cfg file and /MC in /Mods. Nothing else. The more you post, the surer I am you have either old mods or (more likely IMO) old cc that is causing trouble now. Can you get me a screenshot (or list) of everything you're trying to add to the game (like an "expanded" /Mods folder picture)? If I don't see whatever-it-is that's blown up now, maybe @rosemow will. I know there's a thread here for patch-broken files, but I don't have that link handy. You don't NEED to keep the Troubleshooter PDF in /MC... but I wrote that up for people with install issues, game and mc both. Worth hanging onto for post-patch silliness (like this...), if nothing else. But somewhere other than in /MC is fine. BTW, the extra part settings paths are finished. If you want 'em, PM me. If you're on my lists for extra part links, don't bother, I'm about to send those out. 3.2.0 is getting closer, but it isn't ready just yet. "One more thing..." syndrome, you know? But DP has said today's pre-release on Patreon is the one he's hoping will turn into the release candidate version (for MTS). So if all goes well, a few more days. He did mention RL work though, so, "patient anticipation" would be my suggested mood, there. We're at "incoming" stage, now. This'd be the one problem with me not playing with the new stuff... I'm having a little trouble dialing back that "patient" anticipation thing, here, myself. LOLOL! !